Get used to pay less and get more when sending money internationally by reading our Poland Money Transfer Guide. We will show you the best way to send money to or from Poland by taking advantage of the many benefits that the Foreign Exchange companies have to offer. Currencies Direct is a well-known FX company in the Polish diaspora because of their no-fee money transfers and the fact that the Polish Zloty is one of their many supported currencies. Polish customers from UK, USA, Canada, Germany or even Brazil are using them every time they want to send money back home. MoneyCorp is a company that provides similar services, with a very good reputation in the market. The simple fact that they are in business for over 35 years should tell you that your money is in good hands. We also wanted to highlight the fact that their minimum transfer amount is only €50. For more info, or for a free quote, be sure to visit their website. There are no restrictions provided for transferring money to Poland, except the usual limitations as per the Act on Counteracting Money Laundering (more details here). This means that a company that has been licensed to provide service to the Polish customers, can do so in any region of the country (not like the state-by-state limitation that the USA has). Currencies: Because these companies have access to a big inventory of international currencies, you can send money all over the world, in any given day of the week. Even countries that are on the other side of the planet like Australia, South Africa, the Philippines, Hong Kong or Mexico, are easy to reach destinations for the companies we listed above. The only exception is when you need to transfer regularly, very low amounts. For this kind of needs, we suggest using TransferWise because they have low and fixed fees for each transfer. With our two recommended FX companies above, the benefits are bigger and bigger when the amount to be transferred get higher and higher. Even though the Polish Zloty is not a very powerful currency, it is very present in the worldwide currency exchanges as the Polish diaspora is ~20 million people distributed all around Europe, the Americas and Australia. Remittances: Poland has received almost $7 billion in remittances in 2013 which accounts for 1.3% of the country’s GDP according to WorldBank.org. The most Poles are in the American continent, in places like the United States (~10 million), Brazil (3 million) and Canada (1 million). There is also a considerable diaspora in Europe: in Germany (1.5 – 2 million), France (1 million) and the United Kingdom (< 1 million). The only notable country in Asia included in the Polish diaspora is Israel with 1.25 million Poles. Israel became a destination for Polish Jews ever since the country’s foundation in 1948. Thinking To Move To Poland? If you consider moving to Poland and live there as an expat, you may find the following information helpful. Affordable Housing: Average one-bedroom apartment rent is 500 EUR per month. Inexpensive Compared to Other European Countries: Poland overall is 20% less expensive for restaurants, supermarkets, and day-to-day expenses. Poles Are Multilingual: Poles have a very high rate of English, which is a huge advantage to expats. Weak Economy with High Taxes: Poles have to pay one of the highest tax ratios per salary earned in the world. Expensive Petrol: Averages of 1 EUR per litre of gas. Complicated Security Systems: The Polish apartment on average has three different levels of security to enter. Popular cities for business and real estate transactions in Poland are: Warsaw, ?ód?, Krakow, Wroc?aw, Pozna?, Gda?sk, Szczecin, Bydgoszcz, Lublin and Katowice. The Foreign Exchange companies make their profit from the currency exchange. They buy currency in large quantities which entitles them to great prices. When a customer decides to make an international money transfer, it enables the FX company to exchange the currencies with a good margin for them and for the customer. Safe Transfers: The money transfers are online and take place in a user recognized and approved a system that makes it safe and convenient. Plus, they are regulated by multiple security institutions. Recurrent payments: If you are interested in buying a house overseas in Ireland or Spain for example, you can set up regular international payments without additional fees. Receive a quote from one of the dealers – online or by the phone. 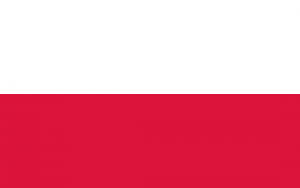 Send Money to Poland: Companies that provide international money transfers to Poland. Send Money from Poland: Companies that take on Polish Customers. Although Poland does not yet use the Euro, the Polish Zloty is a free-flowing currency. Therefore, transferring money in and out of Poland is not restricted for non-residents and residents alike. Poland managed to avoid a recession in the 2008 crisis due to its continued use of the Zloty. However, as a member state of the Eurozone, Poland is required to adopt the Euro eventually. No target date has been set, and Poland is not expected to adopt the Euro until at least 2020. Narodowy Bank Polski (the central bank of Poland) oversees payment systems to ensure the stability of their financial sector. Transfers of any sum are allowed in and out of Poland. However, transfers exceeding EUR15,000 must be conducted through a domestically licensed bank account. Hard currency exceeding EUR10,000 must be declared to Polish customs authorities before being taken out of the country. Polish residents are taxed on any foreign income. Non-residents are taxed only on income originating in Poland. Double tax treaties are in place to avoid double-taxation. The Polish community in the UK has a long tradition and has become one of the biggest minorities in the country. But even so, the banking fees for those that send money to Poland are still very high. So why not go with a cheaper and quicker solution? Why not go with an FX company that will provide zero fee transfers, give you a better currency exchange rate and a small delivery time? Be smart and be frugal about your money!